Gobi Paratha Recipe | Indian Stuffed Bread : Paratha or paranthas or parauntha are most popular breakfast meal, especially in North India. It is a combination of words “parat” and “atta”. 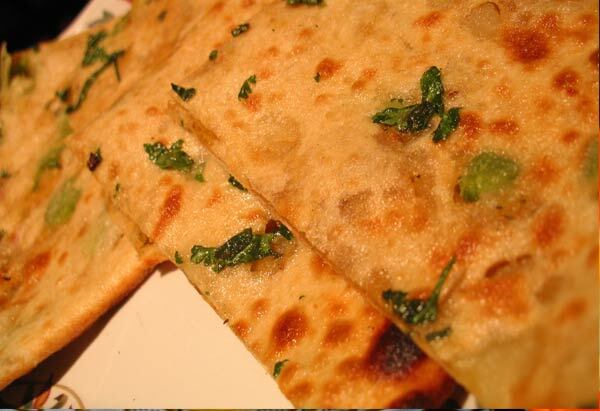 It is a flat-bread that originated in the north of India sub-continent and is a traditional staple of the area. They are usually served with pickles, raita, dal makhni and ginger tea. No matter if it is plain paratha or lachedaar parantha or stuffed one, they are just fabulous. They have not only conquered our hearts but our lunch boxes too. But in north specially in Punjab, the stuffed parathas cooked with ghee are accompanied with butter and a large glass of lassi. They are usually cooked with ghee but you can use oil also. And today we are going to make Gobi Paratha. It is basically a flat bread stuffed with grated spicy cauliflower. Also check DRYFRUIT MEETHA PARATHA. So let’s start with the recipe. Knead dough for four. Click here to learn how to knead dough perfectly. Prepare the stuffing – Cut florets from cauliflower and wash them nicely. Wash green chili also. Grate gobi well and chop green chili finely. Mix grated gobi and green chili nicely. Now add spices to the stuffing – salt(to taste), 1/3 tsp red chili powder, 1/3 tsp cumin seeds, 1/3 tsp carom seeds and 1/2 tsp garam masala. Mix thoroughly. Keep it aside till needed. Take a flat skillet or tawa and pre heat it for 5-7 minutes. Dust some flour on balls or loi. Flatten each ball to a circle of about 4 to 5 inches in diameter with a rolling pin or belan. Spread ghee on the upper side of parantha to make soft parathas. Put 2 tsp gobi mixture on it. And bring the edges of parantha together and make sure to close it properly. Again dust with some flour and roll into circle or square paratha with the help of rolling pin. Grease the tawa with ghee and place the parantha on tawa. Drizzle ghee on the sides of paratha. Flip the side and spread the ghee evenly on the parantha. Turn over and flip when one side is partly cooked. Press the paratha with the spatula and drizzle some ghee on the top. When cooked from both sides, put the paratha on the plate. Now cut a slice of makhhan and place on the top of paratha. Our delicious Gobi Paratha is ready. Serve hot with curd, pickles or ginger tea. Do not add green chili, if you are making parathas for kids.